Recently, Super Junior releases the version C of their 4th album "Bonamana". 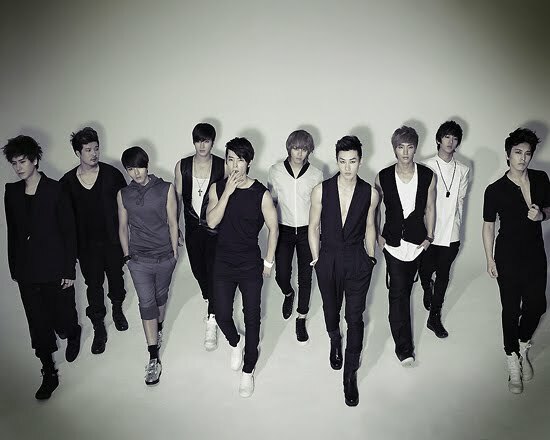 In this repackage album, 2 songs are composed by their very own Super Junior members. In the song "A Short Journey", Eunhyuk and Donghae composed the song in which if you hear it you can hardly hear Kangin's voice, in which Kangin will enter the army on the 5th of July. Another song is "All My Heart" which are composed by Leeteuk and SuJu-M's Henry in which studying at Berklee now. Here's the newest update of Hanteo Charts, in which Super Junior's repackage album is recently no. 1.